What type of weather do you want to experience? What type of scenery do you want to experience – sea, mountains, desert? Do you want to be catered for, or self-cater? Do you want isolation, or to be pampered at a spa or retreat? Do you want to sight-see / take on a challenge / do an activity? 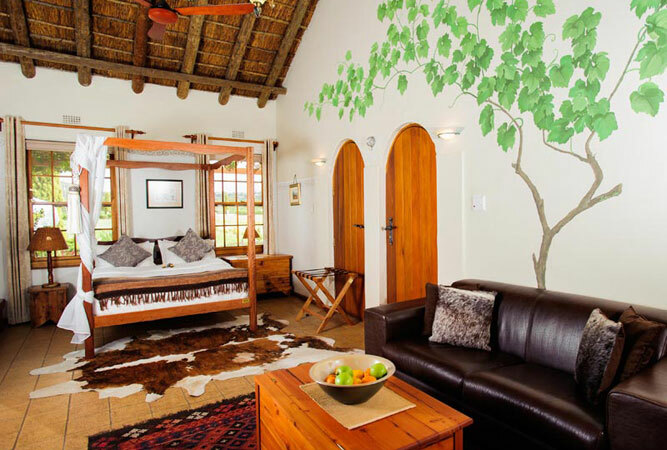 Beau Soleil’s honeymoon suite boasts a handmade four poster bed, graceful high ceilings under a thatched roof, fireplace, a modern bathroom, space and luxury linen. In fact, little was spared when decorating this master bedroom. But if simplicity is your thing, then the Olde Winemaker’s Chamber may appeal even more for its quaintness and access to the courtyard and country atmosphere. 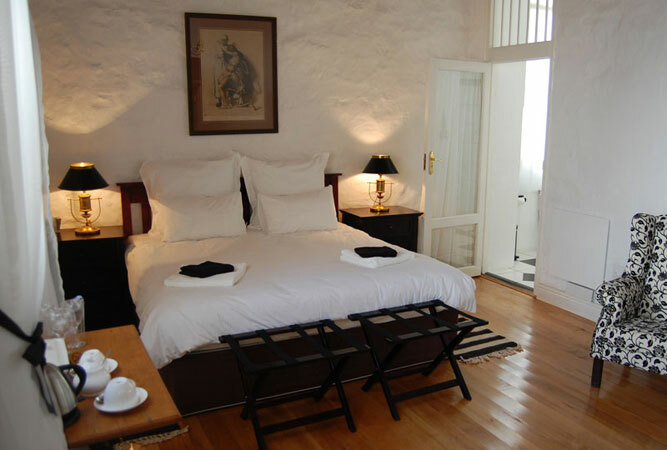 Up on High Level Road, right under Signal Hill, this period house built in the 1880s with its high ceilings and wooden floors has been beautifully renovated and designed into a series of stylish en-suite rooms. Ask for one of their superior rooms, but even the cozy under the eaves bedroom looks fit for a honeymoon couple. ps: their breakfasts are said to be the stuff of legends. 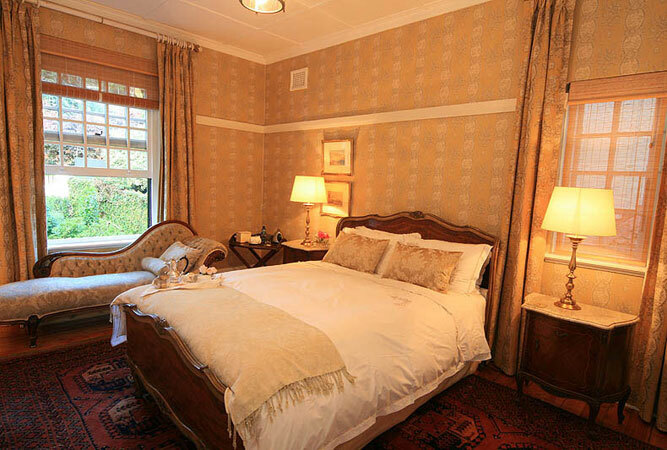 This gracious Cape-Dutch style guest house does elegant honeymoon-style décor with finesse. The combination of antiques, Persian rugs, lovingly restored period furniture pieces, wallpaper, and exclusive linen make any stay here, honeymoon or not, a retreat for those in need of pampering and decadent living. This beautiful honeymoon destination is amour at its best. A wooden deck lined with white wooden furniture that overlooks a pool, three garden rooms with private decks and hanging chairs, en-suite facilities with big baths for extra long soaks, and views that overlook the stream and mountain. This five star guest house is set in an indigenous forest with uninterrupted views of the Knysna lagoon and heads. 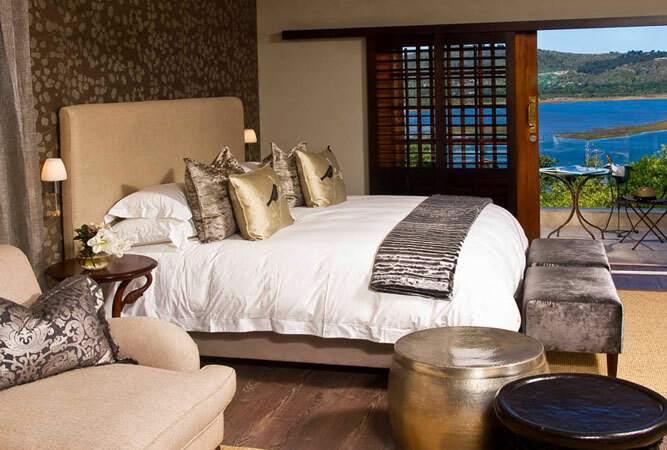 But it is the ‘paradise room’ that you will want to book (rated the best room in Knysna by Frommer’s South Africa), although the Forest Room comes in a close second. This level of style is hard to beat. Charming en-suite rooms open onto rambling gardens, a herb and vegetable garden, croquet lawn, boules pitch and a swimming pool. The garden alone is worth coming here for and when you are not sampling Bernard’s self-blended Mimosa wine or sipping on afternoon tea, then you are in the appointed honeymoon suite, complete with its own private plunge pool. 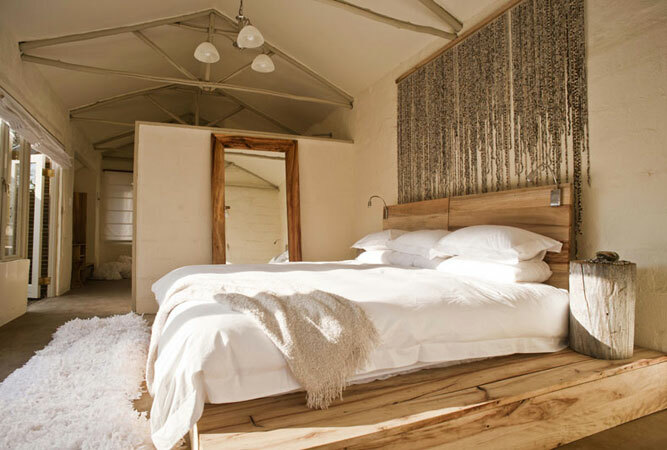 This free-roaming, Big 5 game reserve, only 45 minutes from George Airport, not only offers an incredible mountain backdrop and a landscape teeming with game but it also has a lodge with 14 stand-alone deluxe bedrooms designed with a twist on the traditional Khoi-San ‘hut’. 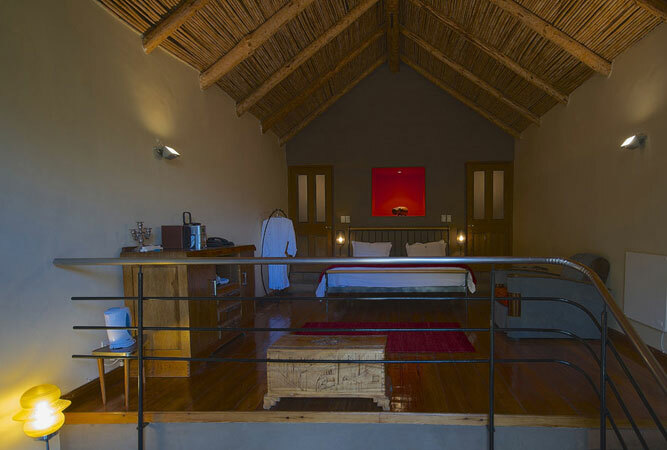 The rooms have sky lights, clay pot fireplaces and deep baths – no better way to spend a honeymoon. Spend your night in the trees in the midst of an indigenous forest. 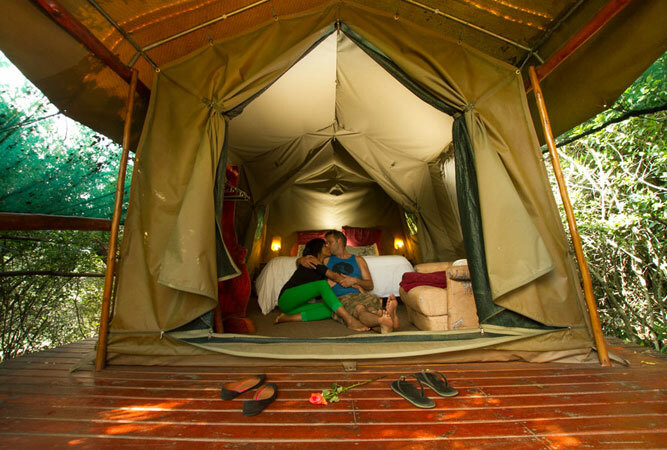 Teniqua Treetops is a chance to sleep, eat and shower up in the forest canopy interrupted only by birdsong. The treehouses are built on handcrafted platforms with tented bedrooms, fully equipped kitchens, an outside deck, and luxury bathrooms. They are private, peaceful and offer incredible mountain and gorge views. Why wouldn’t you? This is a gem of a venue and a unique experience. The striking 1880s building, on the edge of town, is Victorian architecture at its best. The stone building, with walls of half a metre thick has been restored and renovated into a real character B&B and art gallery. Three elegant, air conditioned rooms with high quality period finishes and private courtyards for you to choose from. Not what you were looking for? 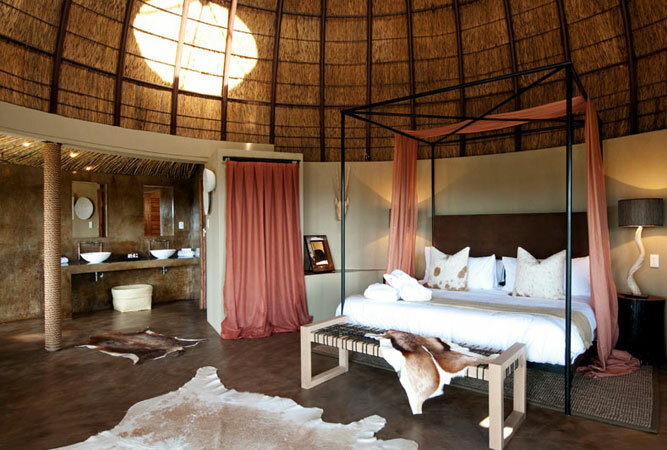 See other Honeymoon Venues or search for Hotels in South Africa to see hundreds of other options for a romantic getaway!